Copic Sketch Markers utilise two versatile tips, brush nib and broad nib, to produce a range of strokes from fine lines to wide colour fills. The Copic Sketch Marker range comprises of 346 fast-drying, permanent, non-toxic and toner compatible colours. 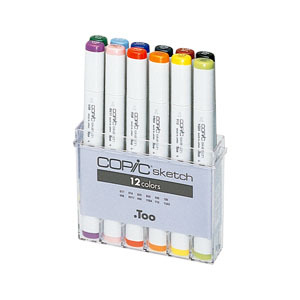 Copic Sketch Markers are available as individual colours or in sets.